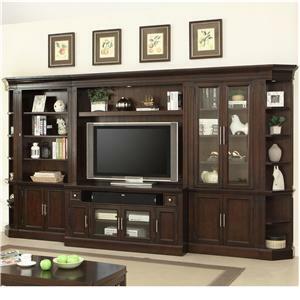 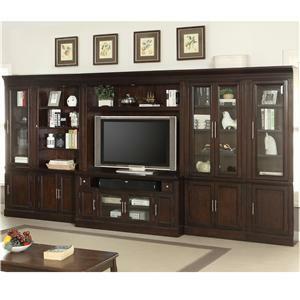 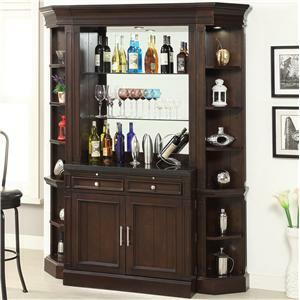 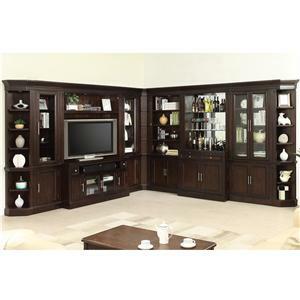 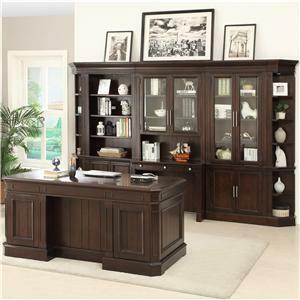 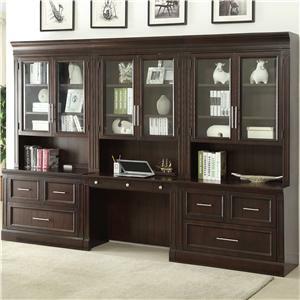 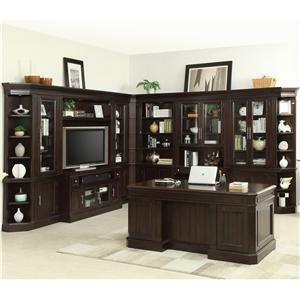 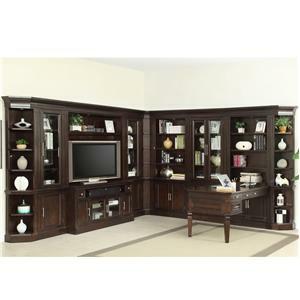 Traditional style and elegance will fill your home office with the addition of this stunning wall unit. 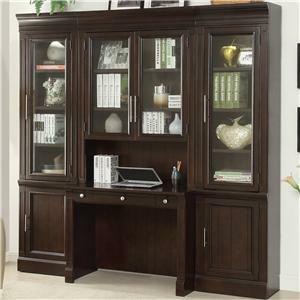 Six doors, three drawers, and fourteen shelves make it easy to find storage space for all of your books and nicknacks neatly away. 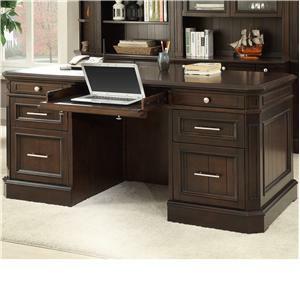 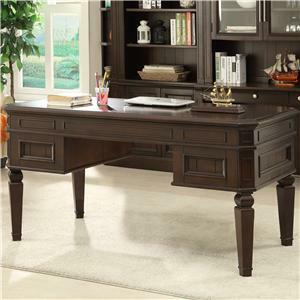 A handy desk nestled in between the storage space creates the ideal place for studying or researching. 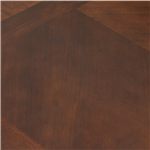 The handsome birch veneers are covered in a Light Vintage Sherry finish that adds warmth and depth to the piece that will liven up your home with traditional elegance. 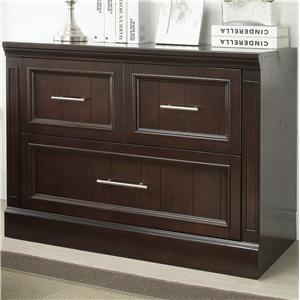 Drawer and door framing complete the vintage look and are accented beautifully by metal drawer and door pulls for the perfect look. 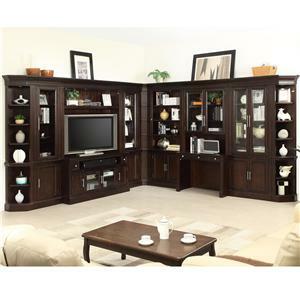 The Stanford Complete Wall Unit with Built In Desk by Parker House is available in the area from FMG - Local Home Furnishing. 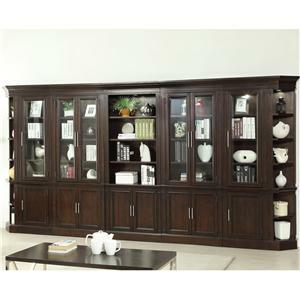 STA#425 Glass Door Cabinet 2 22.125" 14.625" 84.25"
STA#463H Library Glass Door Hutch 1 40" 14.62" 54.125"
STA#461D Library Desk 1 40" 21" 30.125"
The Stanford collection is a great option if you are looking for Traditional furniture in the area.